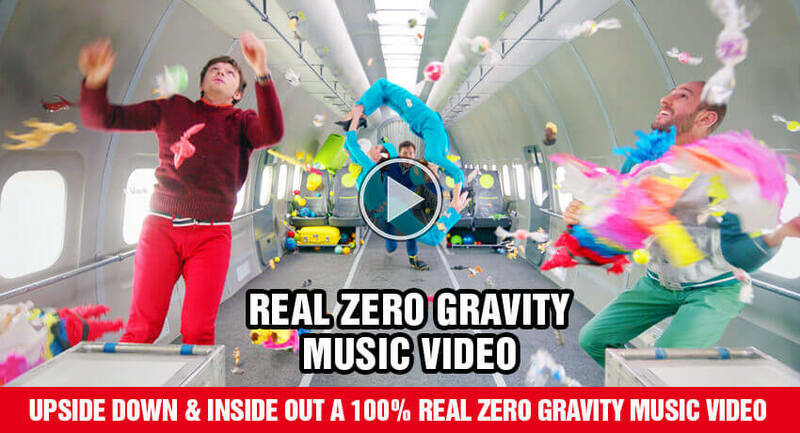 OK Go continue to up the music video ante, working once again with director Trish Sie (who is frontman Damian Kulash Jr’s sister), the band shot their latest mind-bending video for “Upside Down & Inside Out” in zero gravity, inside an actual airplane. This is all real! No wires, no green screen. Have a look at the behind the scenes footage below and read all about their experience here. It will definitely make you really appreciate the work that went into this! via facebook.